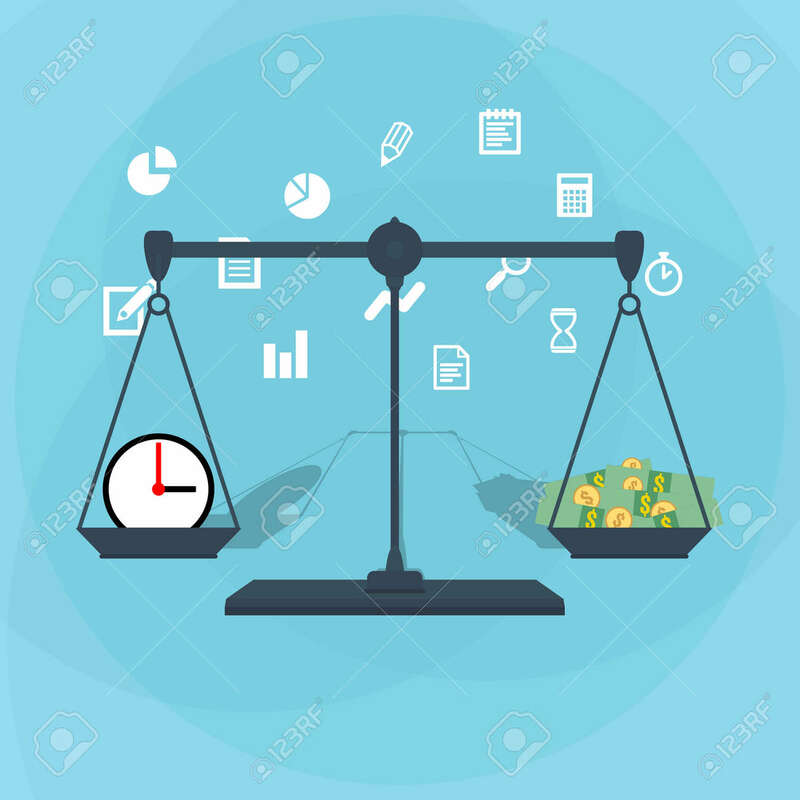 Scale Weighing Money And Time. Financial Concept. Illustration.. Royalty Free Cliparts, Vectors, And Stock Illustration. Image 50174613.